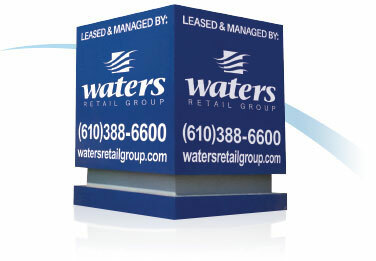 Exton, PA (Chester County) – October 13, 2017 – Waters Retail Group (Kennett Square, PA), Southeast Pennsylvania’s premier development, management, leasing, and brokerage firm, has leased the former 9,000 square feet TFGI Friday’s space in the Fairfield Place Shopping Center to Chop House Grille. Chop House Grille, which is owned by the PJW Restaurant Group of Haddonfield, NJ, operates such restaurant chains as PJ Whelihan’s, Pour House, Treno Pizza Bar and The ChopHouse. Chop House Grille will specialize in steaks, fish and seafood and will serve beer, wine and liquor. Kevin Lahn represented the Landlord in this transaction. Fairfield Place is located at the intersection of Route 100 and Swedesford Road, across from the Exton Square Mall, in Exton, Pennsylvania. Fairfield Place is a 307,000 square foot Shopping Center anchored by T.J. Maxx, Toys R Us, Staples, Ross Dress For Less, Giant Food, Ulta, Carter’s, Men’s Wearhouse, Rack Room Shoes, Dress Barn, Anthony’s Coal Fired Pizza, Panera Bread and Fulton Bank. Replacement tenants for the former Sports Authority space will soon be announced. For more information please visit Fairfield Place, or contact Kevin Lahn at 610.388.6600.